In order to meet & fit a new client, I went to the Nation’s Capital Feis yesterday. I had made the mock-bodice from measurements Susan had taken a few weeks ago…the client lives in southern Virginia and was here, obviously, for the feis. Very nice people. Good bodice, if I do say so myself…only have to make it smaller in the bust. The young lady has quite a beautiful dress now. Dancer said it was a second hand Siopa Rince. Nicely made except for that zipper…shows on the inside of the skirt, not covered at all. What is that?!!! Dress costs a fortune and no one can take the extra five minutes to tuck the zipper into the lining and whip-stitch it into place? Irritates the bejesus out of me. Had a nice visit with the new clients. Had some musical accompaniment as a dancer prepared to play her fiddle for the music competition. Just love that. Finished with the dress business, Meave and I began our slow trek back to the car. It felt very odd walking through a feis after all this time. 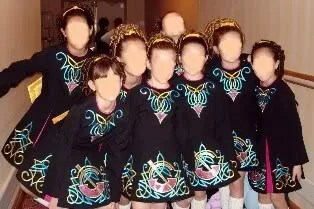 Molly’s last feis was the Oireachtas in December, and Maggie’s and Meave’s was earlier in the fall…it may be almost a year by the time we go to our first one this fall. Anyway, I was hit by a very odd feeling as Meave and I maneuvered our way through the crush of bodies…I felt my shoulders rising to my ears. I felt a twitch starting at the side of my mouth… No doubt that “competing” charges the air in a very specific way. It was a disconcerting feeling. Rather pretty, aren’t they? 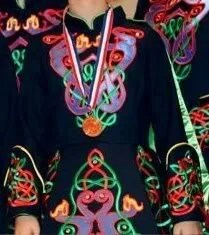 And they make a whole Irish dance dress something to behold. Very striking…and very expensive!!! I saw every type of dress imaginable…even a bubble skirt bobbing down the hall in the distance. Little girl moved too fast for me to see much before she disappeared. So many ideas…just proves what many on the boards have said…there is no absolute style to these things, no standard to measure yourself against. If you like it, do it because anything goes!!! I did manage to end up next to some dresses sporting the “newest” trend (translation: it will change in five minutes) of using mainly embroidery and very little applique. The satin-stitched lines are thick so the design can be seen, which is great. I for one am happy to see some knotwork making a comeback. But what I have noticed in pics as well as in person yesterday is that they all seem to look the same. Why? All of the knotwork designs from days gone by did not look the same, but these are all using the same sharp-pointed diamonds, curly Victorian scrolls, and flowers. Can we not be creative on our own? And it does look as if computerized machine embroidery is close to the norm now. I do not have a problem with that since that is my expertise. It also means that folks have seen the value of what we digitizing artists can do…perhaps there will be no more of those moronic statements on the boards about how this kind of embroidery takes no skill. Interestingly, there was recently a lamentation on the Celtic Flame dressmakers board that all the new embroidery was being done by machine and that perhaps the hand-guiding embroiderers were now behind the eight ball, that only those with computerized machines can pull this stuff off. I do not believe that to be so. I know that there are ID dressmakers who are capable of doing hand-guided embroidery of all kinds. My Feisdress partner, Susan Gowin, still does the embroidery by hand for the dresses she designed for Dudney and Maple. I am amazed by the clarity and neatness of the stitching. Don’t give this up, too, ladies!!!! Beautiful. You can see more in her Feisdress gallery. Meave and I both said, “Whoa!” when we passed the for sale area. The rack set up for the sale of used dresses was packed, stuffed, and scarily overwhelming. Meave and I did stop briefly as I glanced over them, but there were so many, so precariously smashed together, that I did not want to really examine any too closely because I might have to pick them all up from the floor! But a couple of things struck me. 1) They all looked new…and beautiful. I could see “used” on many of the info signs attached to them, but the signs of wear were not immediately evident. 2) There were so many of them. 3) The use of fabrics of all kinds was fantastic! Visual feast! 4) The dresses that I could see were ALL 3 panels. 5) There were so many of them. 6) The prices for these “used” dresses were out of this world! From $1200 to $2500 for a used dress!!!!!!!!!!!!!!!!!!!!!!!!!!!!!!!!!!!!!!!!!!!!!!!!!!!!!!!!!! Susan and I are about to put a used dress up for sale…it has been worn 5 times and we are thinking of asking $950, half the actual construction price…$1200 is a new dress!!!! 7) There were so many of them!!!! There have been several “conversations” on the boards about the glut of dresses in the used dress market. It is a very interesting phenomenon, this mentality that a dancer must only wear a dress a few times, that staying “current” is SOOOO important. I am pretty sure that every solo client that I have had still owns the dress I made. They do not feel compelled to keep buying new dresses. Not sure I understand this aquisitive state of mind. I am interested to see what happens in the next year as folks are unable to sell their used dresses. Perhaps a change in attitude is a-comin’!!! While I was at the feis for the fitting, Molly and Maggie were in Irish dance class. Meave and I went back to wait. Meave spent that time practicing her steps. Near the end of class, I went to watch for a little. Jordan was really putting Molly thru her paces. Loved it. Such interesting, wonderful choreography. After my short trip into La-la Land at the feis, it was nice to see just dancing. I will admit here that going to feiseanna can make me crazy. Competition was nowhere to be found in my classical dance training. I competed as a cheerleader…and that is what competing in the upper levels at a feis reminds me of. Made me crazy as a teenager… makes me very tense as an adult. Good to have this reminder now. I am resolved to be as cool as a cucumber at our first feis back this fall. I will encourage the divas to be friendly, to talk to their fellow competitors. I resolve to keep all of this light and fun and social. I resolve to meet at least 2 new folks. Maybe I will go introduce myself to ZandB and get myself a MoonPie! Good to see you briefly yesterday and sorry it was so rushed! No problem about yesterday…you had to go and place! So proud! Wow, those people sound really retarded. 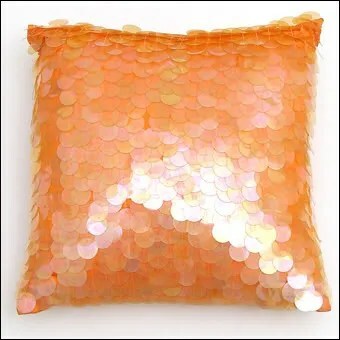 And I don’t just mean because they use so many sequins!! I would think that unless you’ve grown, you’d treasure and love to wear a dress that has so much work put into it (assuming it has and assuming you actually like it). Le sigh. I hope I don’t have kids that get into ID. I was going to ask the very question of cost. I can’t believe that !!!! Well, I can … but wow. That is expensive!!! How long would you say it might take to make a “simple” dress? Yesterday I spent 9 hours at my machine working on the BODICE of a figure skating dress, and attaching the sleeves. It had all been cut out prior to that, but there was a lot of applique. I’m dreading the idea of sitting down at my machine again today. But need the dress for Friday. Oooh Erika, I was just about to go vacuume my house and you just had to go and give me something to write about! Hi Ceilisundancer. Nice to “meet” you. I am sure there were some cheaper dresses…I didn’t go pawing through for fear of knocking it all down! And it is nice to hear that you and your daughter are bucking the trend. Kudos! What strikes me most is that I heard from someone that the soft-skirt style is being promoted because it’s not as elaborate a dressmaking style, but the prices have skyrocketed! Why do you think that is?